After years as one of England rugby’s greatest props, Andrew Sheridan has swapped the ball for the bottle and is making his move into the wine world. Having recently achieved his WSET Diploma, he reveals how his practice keeping calm on the field helped him with the pressure of blind tasting and tells us what he hopes to gain from his upcoming work experience with Conviviality Direct. When did your interest in wine begin? My uncle has always brought (and still does) very good and interesting wines to lunch at my parents’ house. However, my interest really increased when I was living in the Manchester area and enthusiastic local wine merchants suggested new wine varieties and styles to me. I started to broaden my tastes and explore wines from outside my comfort zone and with this came a thirst for a greater understanding of wine and all the factors that account for its differences. 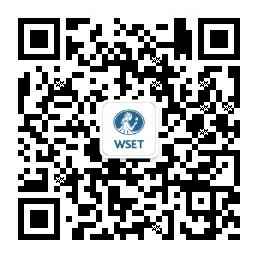 What spurred you to take your wine education further with WSET qualifications? I have always liked structure and order when trying to get to grips with a new subject. I was trying more and more different and interesting wines but I wanted to know why they were different. What decisions had been taken in the vineyard/winery, what was the relationship between climate, soil, grape variety etc. and how does this alter sensory perceptions? WSET provides a framework which offers a gradual progression in terms of detail as you complete the levels of its courses; it is also globally recognised as a highly respected wine education body. I have always liked structure and order when trying to get to grips with a new subject. How did you balance studying wine whilst playing professional rugby? I completed the Level 2 Award in Wines & Spirits and Level 3 Award in Wines whilst I was still playing (and living in England). I started studying the Diploma just after my retirement from rugby by enrolling on the online version whilst staying in the South of France. I think my main area of focus during the course was the need to be methodical and well prepared in order to commit time to absorbing and understanding the detail which the syllabus requires. The online tutors were excellent in guiding us through the material. I think my main challenge was that being based in the South of France, regularly obtaining New World wines was pretty difficult! Are there any skills which you think crossover from playing rugby to tasting wine? I think practice, repetition, attention to detail and keeping calm under pressure are certainly requirements for both rugby and tasting wine - above all, when blind tasting wines or spirits under exam conditions. In professional rugby we often talked through our processes and drills, whether that be tackle technique, line out, or scrum set up. The more we practised these under stress, the less likely they were to breakdown when under big match pressure. Similarly, it’s important to have with blind tasting, a standardized, consistent approach to each glass and an organised database in your brain, which is then triggered by a particular wine’s attributes and leads you to (hopefully) the right conclusions on aroma, taste, quality level and variety/region. Certainly the more you taste and think about what you’re tasting and what makes it taste the way it does, the greater success you seem to have with evaluations of a specific wine. Familiarity with wine styles was definitely a factor for me. I fared much better with Old World wines than the New World flights in the unit 3 exam, due largely to the fact I hadn’t tasted nearly as many New World wines. As a WSET Diploma graduate looking to move into the wine trade, you were awarded this year’s Bibendum-Matthew Clark prize. What do you hope to gain from your work experience with Conviviality Direct? Although I’m a big advocate of formal qualifications, there’s no substitute for experience and it’s a great opportunity for me to learn from wine buyers who have spent many years in the trade. I’ve found the more time I spend around people who work in wine, the greater knowledge I can glean from them, as they bring different perspectives to such a diverse and enriching subject. What are your hopes for your future in the wine world? First and foremost, I want to continue learning and enjoying wine; I’d like also to get more involved in the day to day buying/supplying/education side of things. One of my favourite things about wine, is when you stumble across a bottle which stops you in your tracks and even better still, you find out it’s less expensive than you thought it would be! The Bibendum-Matthew Clark prize is part of WSET Awards & Prizes, learn more here.